This morning I read an excellent post on a social media site. It was about our need to be seen, to have witness to our lives - whether that is pain, fear, joy...whatever...we need to know that we exist in the reality of others. I've long argued that abandonment is the major issues in older child adoption and for all trauma victims. Human beings are pack animals, and when the pack loses sight of us, we become vulnerable and we are harmed. That's what happens to our children - they have been left, they have been vulnerable, and they have been harmed. And after we adopt them, we are left, we become vulnerable, and so we are harmed. So, what does this have to do with the new realities of adoption and Hazardous Parenting? Well, I think that in Hazardous Families, the parents become invisible. We get lost in the child's trauma and the industries that are built up around it. Our reality is denied. We are told we have secondary trauma from witnessing the pain of our children's trauma - uh, I don't think so. I am well aware that I have primary trauma from fearing for my life, from social isolation, from living with chronic conflict etc. Okay, I've written about that enough in my old blog, but today, in linking it to the need to have witness to my reality, I was struck again by how we are silenced in our struggle and our pain. Don't worry, I'm not paranoid - I don't believe there is a conspiracy to silence us. I do, however, believe that the failure of the adoption and trauma industries to recognize the reality of mental health problems in children and youth has left parents in the lurch. 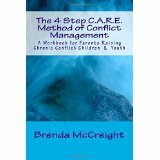 We are led to believe that our children and youth will outgrow their behaviors - and many do. Yet, that doesn't mean that we aren't harmed during the years that they are presenting the symptoms. We are also silenced by our love for our kids. I'm sure none of you want to run around telling the world how hard it is to live your life because of your child - you love Junior and you naturally want to protect him or her from your pain. We are also silenced because the professionals focus almost solely on the children. Any parenting support provided to us is about how to parent, not about how to heal from parenting. And, of course, when the therapies provided for our kids don't work, the parents are blamed for not following through, or having too high expectations, or not accepting our child, or....whatever. When nothing works we often buy into that it was our fault and we accept that we just weren't good enough for our child. And, as any parent knows, if you feel you aren't good enough for your child that leads to feeling that you aren't good enough PERIOD. And that friends, is a clear path to severe depression, more social and emotional isolation, and more invisibility. This isn't going change until we stop being silent about what our lives are like. We need to make others see us. We need to stop just talking to each other on our blogs and in our support groups. We need to stand firm that we are not blaming our children for their behaviors but that we are not going to be silent about how those behaviors impact us. I don't know how you can do this but I know what I can do. 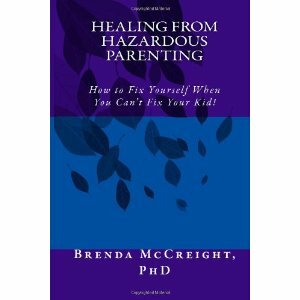 It started for me with my book "Healing from Hazardous Parenting: How to Fix Yourself When You Can't Fix Your Kid". I also no longer accept speaking engagements about how to parent, I only agree to workshops that are about how to survive (and thrive) as a parent and about the other realities that are present in today's adoptive family life. I'm shortly going to start a blog talk radio program so that other parents can have a real voice and a place to speak. What are you going to do? You have talents, you have a voice. Your deserve witness to your pain. Hey friends, you are entitled to a better day. Thanks for the encouragement! Yes, for so many good reasons we are silent... but it is so important to share!